We’ve all heard that there are benefits of buying used, but how much do you really know about the pre-owned car market? We’re here to answer the question “Why Buy Used?”. From minimizing depreciation to saving on recurring fees, there’s a reason that so many Gurnee drivers choose to buy used over a brand new model. Take a look at our top used car buying benefits below, and then explore your options at Muller Pre-Owned Center. Lower Depreciation: When you opt for a brand new vehicle, you get to be the first one to drive it home from the dealership. But the moment you leave the lot, your car has already dropped in value by potentially thousands of dollars! Used cars do not have the steep depreciation of a new model, which is great for your wallet. Better Budget: If you’re on a budget, then you can get way more car for your money when you opt for used cars. Since depreciation isn’t factored into the price, you can get a much nicer model or trim with your hard-earned cash. 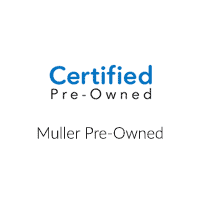 You can even find plenty of fantastic cars priced under 10k at Muller Honda Pre-Owned. Reduced Recurring Fees: When we think about buying a car, sometimes we get fixated on the sticker price. But what about other costs? A used car typically has lower registration fees, sales tax, insurance costs, and more. That means you’ll not only save up front on the sticker price, but you’ll save every year as well. Enhanced Selection: Modern vehicles last longer than ever before, which means there are plenty of gently used cars in pristine condition on the market. And while there are around 350 new models every year, the used market is packed with just about every option you could want. Find a small pickup, a retro hatchback, a vintage muscle car, or anything else your heart desires! More Transparency: In the past, a used car was a gamble. But with today’s technology, it’s easier than ever to get the vital information you need before purchasing your car. Options like AutoCheck and CarFax provide comprehensive vehicle history reports, so you know about any accidents and repairs that happened in the past. You can even opt for our Certified Pre-Owned inventory for extra peace of mind. If you’re ready to explore your options in the Chicago area, head to the Muller Pre-Owned Center or compare the Civic vs. Accord today. We’re located near Morton Grove, and you can preview our selection of used vehicles online!